Did NOT ask for personalizezation on these. Wanted them PLAIN! Want to use for candy I sell at craft shows. I ordered 2 boxes of these cards & absolutely loved them. I received 2 calls so far from people I've sent them to. The one person I sent to called & said it touched her so much that she cried while reading the verses....read it the second time & cried again. I have to order another box to maybe touch more people. 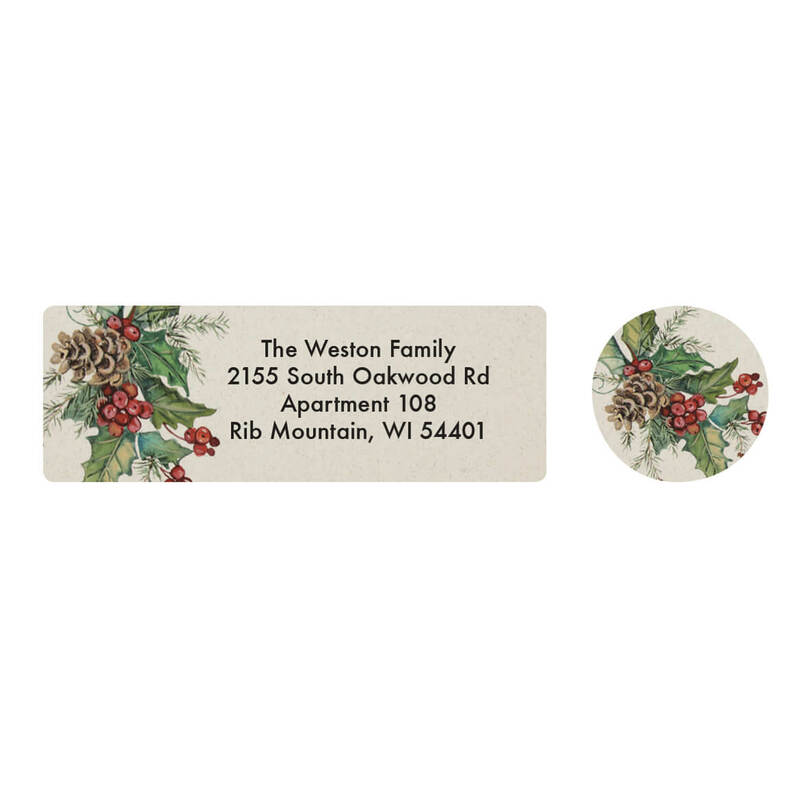 I also ordered the address labels to match. 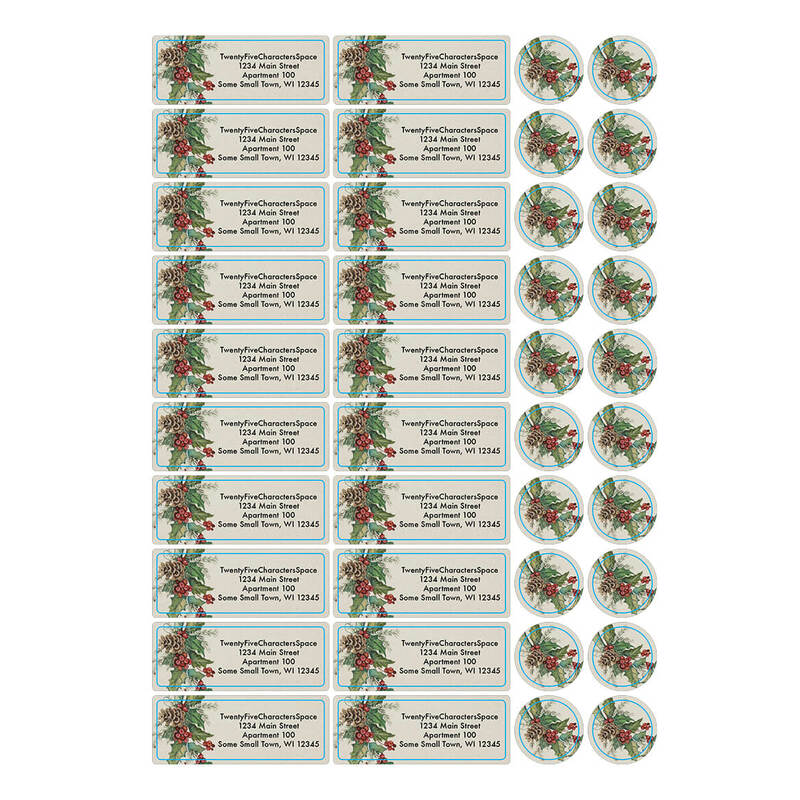 I have always ordered my Christmas return address labels from Miles Kimball and loved them. They look classy than the ones you usually get for free from various charitable organizations. These matched the Christmas cards I ordered.